Enjoy the feeling of lightness and wellbeing that a personalised cleaning routine can bring you. The GROHE Sensia® Arena impresses with innovative functions, such as SkinClean and HygieneClean. Discover the difference it can make to your day. Enjoy the feeling of lightness and wellbeing that a personalised cleaning routine can bring you. the GROHE Sensia® Arena impresses with innovative functions, such as Skinclean and hygieneclean, that make it the cleanest toilet in the world. Discover the difference it can make to your day. Good design should be instinctive to use, with form and function marrying perfectly to create objects that make you feel instantly at home. Our design for the new GROHE Sensia® Arena is pure and fuss-free. We’ve designed it with clean lines that leave dirt nowhere to hide, its smooth shape a model of discreet elegance. 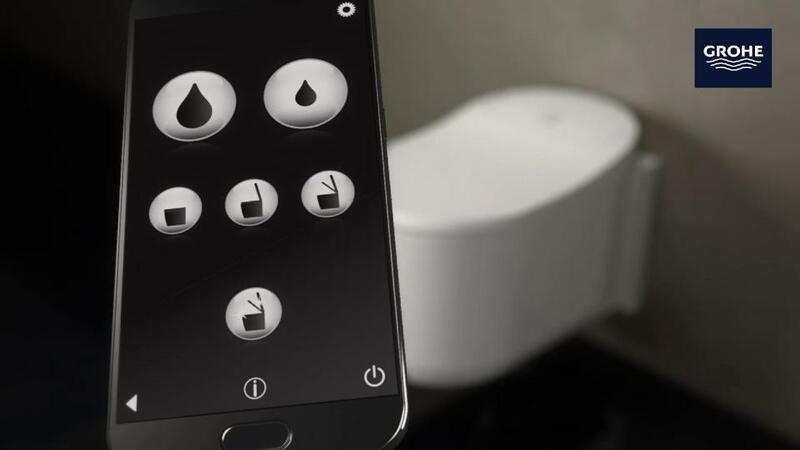 It includes details that will give you a subtle sense of comfort, from the nightlight that guides you through the bathroom after dark to the automatic open and close feature of the lid, each one carefully thought out to make you feel looked after and secure. For its sleek silhouette to its technologically advanced finish we believe that with the GROHE Sensia® Arena we’ve set the benchmark for the future of personalized, clean comfort.